King James IV seemed to have recklessly led the flower of Scottish nobility into a deadly battle against the English at Flodden Field on September 9, 1513. He was to die in battle leaving his only legitimate surviving son and heir, James, as king when he was only seventeen months old. Half of James V reign was to take place during his minority. James V was born on April 10, 1512 at Linlithgow Palace, Linlithgowshire. He was the son of King James IV of Scotland and his wife, Margaret Tudor, daughter of King Henry VII of England. Seventeen months later, his father was dead. James IV stipulated in his official will that Margaret would be the authorized guardian of their children as long as she was unmarried. Margaret immediately took James to Stirling and had him crowned in the Chapel Royal on September 21, 1513. Margaret insisted she was regent but the regency council saw it differently. After the disastrous defeat of Flodden, they agreed they needed strong leadership and James IV’s cousin, John, Duke of Albany who lived in France, would the best candidate to rule as regent. Margaret managed to retain the regency for her son until she made a disastrous mistake in the eyes of the council. Margaret had made peace with England after Flodden but she was insisting on a perpetual peace. She needed another husband to help her. In March of 1514 she met Archibald Douglas, 6th Earl of Angus and by August she had married him. The regency council said she had violated the terms of James IV’s will by marrying and forfeited her position as regent. They deposed her. They sent word to the Duke of Albany in France that he was needed in Scotland and he came in May of 1515. Albany insisted the young King be governed by a council of eight men. Margaret resisted but finally gave in and left for England. Under Albany, the young king was well dressed, had a mule to ride and his own minstrel. He alternated living between the castles of Edinburgh, Stirling and Craigmillar. James does not seem to have received the extensive education his father had. His lack of education was remarked upon by chroniclers. The records indicate he had a tutor from age five to thirteen but he was more inclined to learn the rules of chivalry and courtesy. He learned riding, shooting, archery and sword play and he may have learned some music, dancing, games and tales from his gentleman usher. When James was thirteen he wanted an adult sword as opposed to a smaller child’s sword. Albany’s regency was relatively peaceful and lasted until 1524. Albany never coveted the throne for himself and showed great skill in handling all the warring factions in Scotland. He administered justice and upheld the law but proceeded to drain the Scottish treasury, nearly leaving the country bankrupt. He was to travel back and forth between Scotland and France during his regency. Margaret was to return to Scotland from England in 1517 when Albany wanted to leave the country and she was to get along well with Albany. The Duke of Albany pursued a pro-French policy throughout his regency and James was to continue this when he became king, probably due to Albany’s influence. Albany’s greatest achievement was the negotiation of the Treaty of Rouen in 1517. 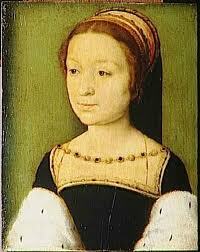 The treaty stipulated that James V would marry one of the King of France’s daughters. Albany broke ties with Scotland in 1524 and left, leaving Margaret as regent. Margaret was struggling to retain control. Her marriage to Angus had collapsed in acrimony and she was seeking a divorce. Margaret’s time as regent was to end by 1526. Struggles broke out between the Hamilton family and the Earl of Angus. A scheme was devised where custody of James would rotate between four factions in three month installments. This arrangement failed when Angus’ had custody of the king and refused to turn James over to the next faction when his three months was up. James adored his mother and was very upset when Angus made himself Chancellor, kept him from his mother, gave all his relatives appointments in his household and virtually kept James prisoner for two years. Angus dressed James in fine clothes, indulged his every impulse and introduced him to many inappropriate pleasures to keep him occupied. It is said that Angus deliberately encouraged James to have amorous adventures beginning when he was fourteen or fifteen years old to distract him from exercising political power. His first illegitimate child was born when he was seventeen. While there are some names, kinship connections and births listed, very little is known about James’ many mistresses. They were probably mostly daughters of nobles in the king’s service. There were probably countless other mistresses we know nothing about and possibly other children too. By the time of James’ second marriage in 1538, James had seven acknowledged illegitimate sons and two illegitimate daughters. With all the turmoil and indulgence experienced by James at such a young age, he began to have a tendency toward being high strung, neurotic and emotionally unstable. James was staying in Edinburgh Castle in early June of 1528. He knew the castle would be lightly guarded and let it be known he wanted to go out hunting early in the morning. He managed to make a dramatic escape from Edinburgh and made his way to his mother at Stirling Castle. One of the first things he did was come down hard on Angus and his family for his ill treatment during the regency. Parliament passed the death sentence against Angus three months later and Angus escaped to France. James was to begin his own personal rule as a dynamic king with clear views of his own and no longer relied on his mother or anyone else for direction. James’ rule was to be dominated in foreign policy by shifting alliances between Scotland and France, England, the Holy Roman Empire and the Papacy. At home, his kingdom was fractured. He began to work on creating peace and stability. He negotiated a treaty with England in 1528 that lasted for five years and then turned his attention to Scotland. He started out with punitive raids on the border area between Scotland and England in 1529 and 1530 which were very effective. He managed peace but the Lairds began to resent James and no longer trusted him. He then turned his attention to the Western Isles and the Highlands, trying to bring them under crown control. In 1531, he negotiated a peace agreement among warring chieftains in the Western Isles but again created enmity with the nobles. In James’ attempts to apply the rule of law, he could be repressive. His behavior alternated between high bouts of energy and black depressions. The nobles were always ready to accept bribes from James’ uncle, King Henry VIII of England. James was serious about defending his realm and spent money on his navy and fortifications and rearmament. He negotiated with the Pope by promising to keep Scotland Catholic as his uncle Henry VIII worked to make Scotland Protestant. In order to not break with the Church, he accepted an annuity from the Pope and replenished the Scottish treasury. He also gave some of his illegitimate children abbeys and priories in Scotland so he could appropriate their revenues. He obtained papal agreement to heavily tax the Church, promising to use the money to fund a college for justice which he did at Edinburgh in 1532. But most of the money went into building and renovating royal palaces. All the major royal residences received renovations with most of the work done on Falkland and Stirling. Extensive building was done on the palace at Holyrood before his marriages. James was a collector of tapestries, plate and jewels and possibly painting and illuminated manuscripts. He loved music and employed many musicians. James was fond of spectacle and ceremonial at his court. He would always enjoy staging and participating in pageants, jousts and tournaments. James would offset the spectacle with religious observance and deep acts of piety. He also gained a reputation for making incognito excursions amongst his regular subjects. In 1536, James became serious about pursuing the terms of the Treaty of Rouen, strengthening an alliance with France and marrying. This culminated with his visit to France in March of that year. He met and fell passionately in love with the eldest daughter of King Francis I, Madeleine of Valois. The marriage negotiations progressed and the terms of Madeleine’s dowry were set at 100,000 crowns and a pension of 30,000 francs a year. James celebrated the end of the negotiations and then went to the abbey of Cluny for a religious retreat before the wedding. He had spent the time celebrating in a mood of high spirits and may have fallen into a lethargy and depression. There was a grand entry into Paris. James and Madeleine were married in January of 1537 at the cathedral of Notre-Dame. The festivities lasted until May when James and Madeleine left for Scotland. After arriving in Scotland, Madeleine, who was already in bad health, began to become very ill, suffering from frightening bouts of fever and catarrh. She probably suffered from tuberculosis as her mother, Queen Claude did. 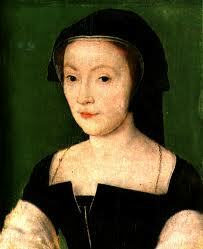 Madeleine was to die on July 7, 1537 in her husband’s arms at Holyroodhouse. James sent word to King Francis that his daughter had died and he was seeking a second wife. King Francis chose the widow of the Duke of Longueville, Marie of Guise. In June of 1538, James and Marie were married at St. Andrews. Marie did not become pregnant until September of 1539. A son, James, was born in May of 1540. In March of 1541, Marie was pregnant again and James was exhibiting signs of paranoia and depression. A second son, Robert, was born on April 12. On April 21, baby James died and a few days later Robert died. James and Marie were devastated. James was increasingly at odds with his nobles by this time although he remained popular with the general public. James and Marie went on a tour of Scotland in the summer of 1541 and the nation shared in the grief of the death of the young princes. In May of 1542, Marie was pregnant again. Relations between Scotland and England had seriously deteriorated. There was an anticipated meeting between James and Henry VIII. Henry travelled north but under the advice of King Francis I of France, James did not attend the meeting. Henry was threatening to attack France and Scotland’s treaty with France called for Scotland to attack England. There was no formal declaration of war but there was a series of conflicts on the border and Henry’s men under the Duke of Norfolk crossed into Scottish territory that summer. James’ army followed Norfolk but refused to enter England. James met the English army at Solway Moss on November 24, 1542. James’ nobles refused to support him and the army fell into confusion and disorder, making an English victory easy. Hardly anyone was killed but James’ army was routed. The battle was a huge setback to James, humiliating him personally and greatly damaging his forces. He went to Linlithgow to see Marie where she awaited the birth of her child and then travelled to Falkland Palace and retired to his bed with a fever. Marie gave birth to a daughter named Mary on December 8th. James had no male heir, no support from his nobles and was unable to fight the English effectively. James was to die on December 14, possibly of a nervous breakdown combined with dysentery. He was buried next to his first wife Madeleine at Holyrood Abbey. 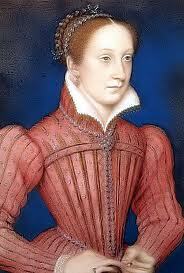 James’ newborn daughter was to become the ill-fated Mary Queen of Scots.